Towards the end of June, I reported on a group of three friends from Ballygowan and Ballynahinch who were set to embark on the adventure of a lifetime. 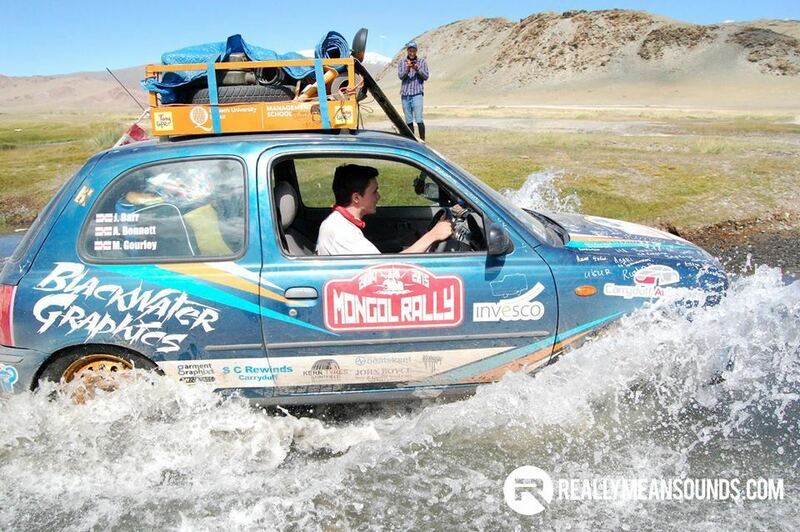 Matthew Gourley, Jordan Barr and Andrew Bennett entered the 2015 Mongol Rally, a charity fundraising event that sees entrants drive 10,000 miles and traverse several mountain ranges before arriving at the Mongolia finish line. On Friday night (4 September), team ‘Car of the County Down’ completed the final leg of their adventure. Having raised over £2000 for their nominated charity, Tiny Life, they arrived back to a family farm on the outskirts of Belfast to huge cheers and applause from friends and family who had gathered. Interestingly, Matthew, Jordan and Andrew decided to drive their car home after reaching the event finish. By the time they returned to Belfast, they had travelled more than 16,000 miles! Andrew Bennett, the third member of the team, revealed that around 15 per cent of the vehicles entered were driven back home again. The rally went far beyond the lads’ expectations, with Jordan commenting that the rally was a lot tougher than he thought it was going to be. But now that they have completed the journey, those tough parts are among the most memorable moments when they look back at what they have conquered. 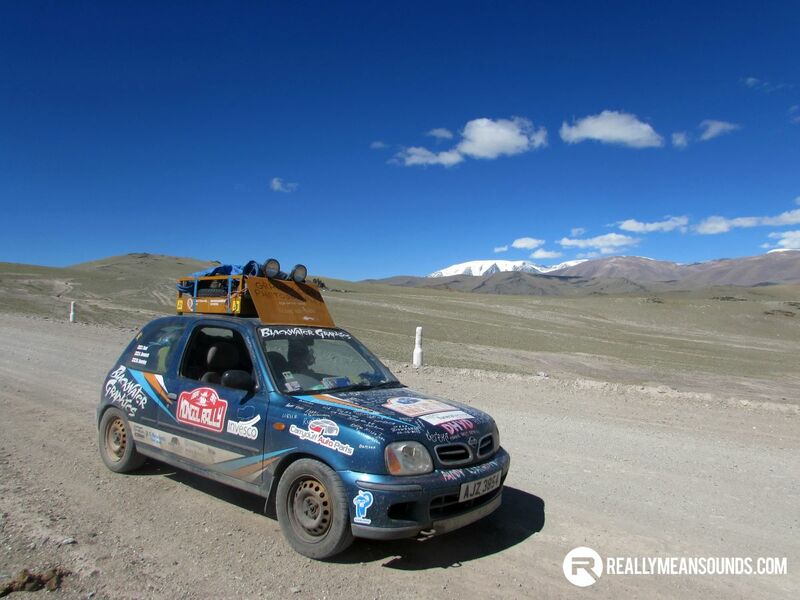 As for the car, it remained fairly reliable for the whole journey and thankfully only suffered some minor breakdowns, some of which the local people rallied around to get the car fixed. However, in Uzbekistan, the lads encountered something that we don’t get in Northern Ireland – a severe lack of petrol! In fact, petrol is largely only available on the black market. That led to them finding an illegal ‘fuel house’. Soon after filling up, they were met by two old men carrying an array of food ingredients that included bread and ice cream…together with a bottle of vodka! The food was prepared for them on the bonnet of the car whilst they were forced to drink the vodka. However, with a border crossing to make, the lads finally escaped the hostage type situation via a French translator who had stopped by for some vodka! Thankfully, Jordan escaped the alcohol drinking exercise as he was on driving duties, so they set off for another border control. The team revealed that some of the border crossings took several hours. In fact, some took up to 12 hours to get through and bribery was rife with so called ‘fines’ being issued but once they threatened to call the British Embassy, the fines were soon revoked. 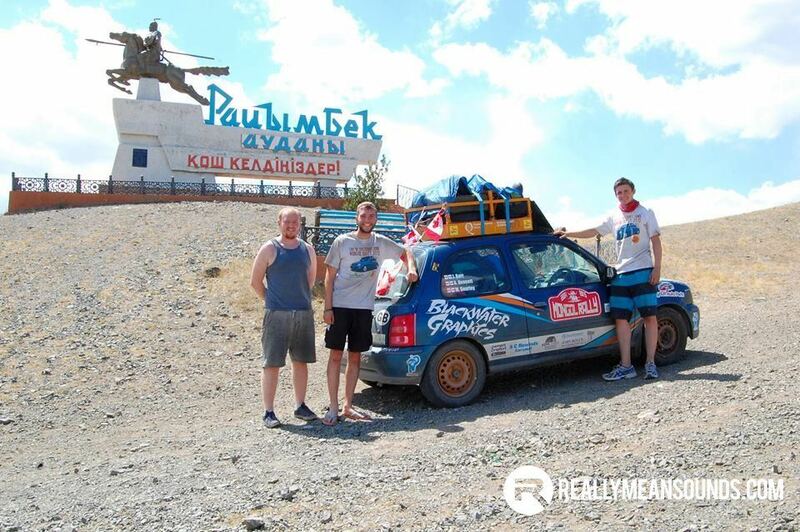 The Mongol Rally is in aid of charity and after £500 was donated to the event organiser’s charity, the remaining funds raised by the Car of the County Down team will be donated to Tiny Life, the team’s nominated charity. To date, the lads have raised in excess of £2000 from cash donations and online (www.justgiving.com/carofthecountydown) for Tiny Life, which is the official charity in Northern Ireland for premature babies. well done boys - NOW, is the Micra for sale?